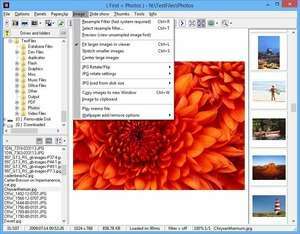 Wega2 is a high quality image viewer for digital cameras. Wega2 currently includes some handy additional tools to compare images and analyze exif data with the build in ExposurePlot program. Using Wega2, you can change the aspect ratio for digital photo frames or tablet PC's. Besides the basic options, viewer, slideshow and thumbnail view, the program has a lot of other usefull options. Version 1.1.0.6 is a freeware program which does not have restrictions and it's free so it doesn't cost anything. For security reasons, you should also check out the Wega2 download at LO4D.com which includes virus and malware tests. Additional screenshots of this application download may be available, too.